PASCAGOULA, Miss., Dec. 7, 2012 (GLOBE NEWSWIRE) -- Huntington Ingalls Industries (NYSE:HII) announced today that its Ingalls Shipbuilding division has been awarded a $54 million cost-plus-fixed-fee contract for life-cycle engineering and support services on the U.S. Navy's USS San Antonio (LPD 17) class of amphibious transport docks. This is the third of four annual options associated with a base contract awarded in February 2010. "Our extensive post-delivery support work is vital to the Navy's missions involving these complex amphibious ships," said Doug Lounsberry, Ingalls' LPD 17 vice president. "Our commitment to building quality amphibious ships does not stop at our shipyard. Life-cycle engineering services must also be of the utmost quality to ensure a consistent project of excellence for the men and women of our U.S. Navy and U.S Marine Corps." 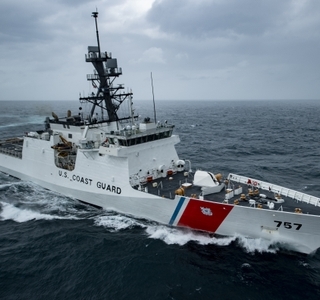 Services provided in this contract include post-delivery planning and engineering, systems integration and engineering support, research engineering, material support, fleet modernization program planning, supply chain management, maintenance, and training for certain LPD 17-class shipboard systems. 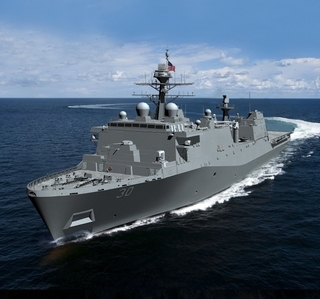 The LPD 17-class ships are a key element of the Navy's ability to project power ashore. Collectively, they functionally replace more than 41 ships (the LPD 4, LSD 36, LKA 113 and LST 1179 classes of amphibious ships), providing the Navy and Marine Corps with modern, sea-based platforms that are networked, survivable and built to operate with 21st century platforms, such as the MV-22 Osprey. The San Antonio-class ships are 684 feet long and 105 feet wide and displace approximately 25,000 tons. Their principal mission is to deploy the combat and support elements of Marine Expeditionary Units and Brigades. The ships can carry up to 800 troops and have the capability of transporting and debarking landing craft air cushion (LCAC) or conventional landing crafts, augmented by helicopters or vertical take-off and landing aircraft such as the MV-22. These ships will support amphibious assault, special operations or expeditionary warfare missions through the first half of the 21st century.